You might be feeling uncomfortable in the summer heat – but can you imagine what your furry friend is feeling? It’s like they have a winter coat on that they can never take off! In all seriousness, dogs often overheat in the summertime if proper precautions aren’t taken. Dogs who suffer from heatstroke often have difficulty recovering and re-hydrating, and many dogs die each year from heat-related symptoms. 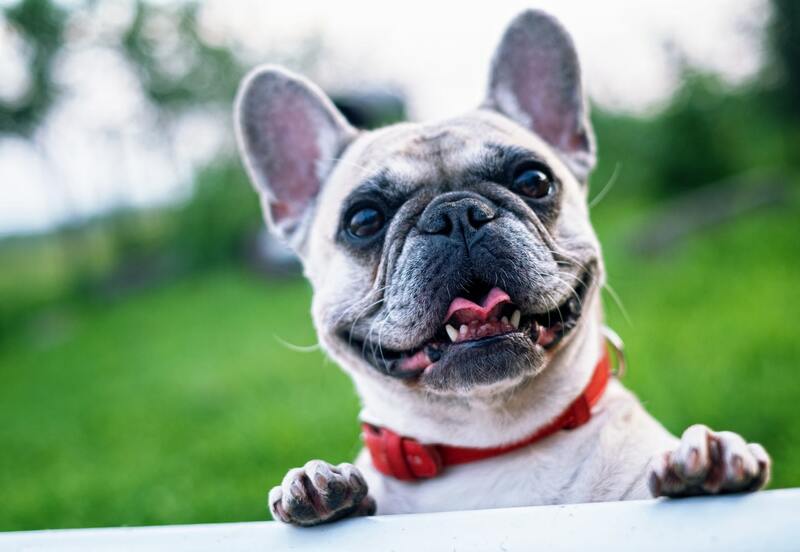 Luckily, there are easy ways that you can help keep Fido nice and cool! First, it’s important to understand what heat stroke in dogs looks like. They can’t communicate when they’re not feeling well, so it’s important to keep a watchful eye if they’re playing in the summer heat. If you see your dog experiencing any of these symptoms during a hot summer day, it’s time to take necessary precautions to bring them inside and cool them off. If symptoms persist, it’s time to call or visit your local vet or emergency animal care clinic. By taking immediate action when you see your dog might be overheating, you can prevent heat stroke. But, before you even get to that point, you can take steps to prevent your dog from overheating at all – even when it’s blazing hot outside. Here are a few ideas to keep in your back pocket this summer. In the summer, dogs need constant access to cool, fresh water when they’re indoors and outdoors. If you keep the water fresh and cool, they’ll be more likely to drink it and stay hydrated. Understand that, just like you, dogs need more water when it gets hot outside. They may be drinking more than they’re use to in order to keep themselves regulated. Stay cognizant of that and make sure that you’re providing enough H2O. Midday exercise might sound like a relaxing break from your busy day, but it could mean a guarantee of overheating for your furry friend. During the hottest times of the day, any physical activity for you and your dog is immediately more taxing. 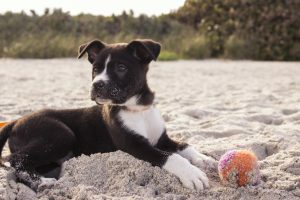 Additionally, if your walks or runs tend to be on hot surfaces like pavement or asphalt, your dog’s paws might overheat. Be aware if your dog is acting more sensitive than usual about going for walks, and mix up your route so they can walk in the grass or on a trail. “Extreme heat” for dogs is loosely defined as any temperature above 85 degrees. This kind of high heat can dehydrate Fido, making it especially difficult for them to cool back down. Even if you feel guilty about leaving them home while you go enjoy the summer sun, they’d much prefer to stay in their air conditioned home where they can be comfortable. Small dogs, like pugs, are particularly prone to overheating. Luckily, there are steps you can take to make sure they stay cool. One recommended trick is to gently place a towel-wrapped ice pack on their bellies while they lay down to cool their internal body temperature. You can also invest in a cooling vest that will snap on and keep them cooled off while they run and play during the summer days. There are also cooling pads or dog beds that your pup can lay on and take a break when they’re feeling too toasty. Ultimately, though, you have to use your best judgement. 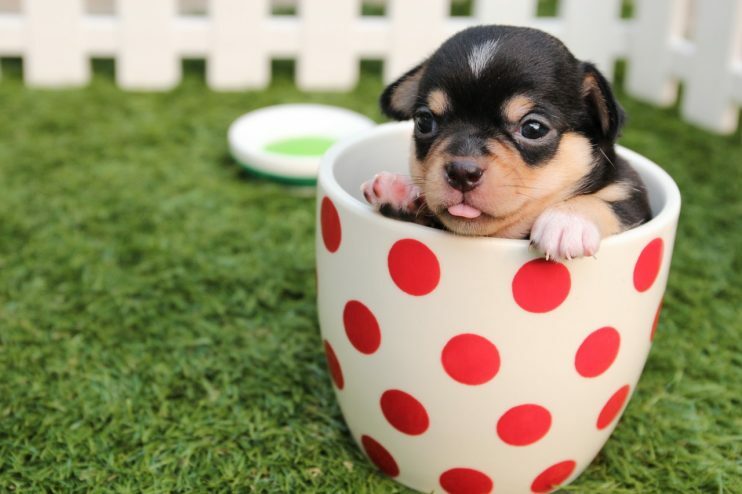 If you have a smaller dog and you know they don’t do well in the heat, keep their time outside limited this summer and find ways for them to get in their exercise while indoors. While we don’t recommend leaving dogs outside for such extended periods of time that they’d need to sleep or stay in a dog house, having one erected for them to take a break in while they play isn’t a bad idea. You can also provide shade by keeping an area of the yard under an umbrella or pergola – this way they can enjoy the outdoors while still escaping the hot sun. These are just a few of the ways you can keep your dog cool this summer and prevent them from overheating. Our dogs love us unconditionally and rely on us to care for them in the best way that we can – and you’re doing a great job just by researching the best options for keeping them happy and healthy! Even though you have to make sure your pup avoids overheating this summer, make sure you have fun spending time together. Enjoy your summer, stay cool, and enjoy having safe fun with your pooch!